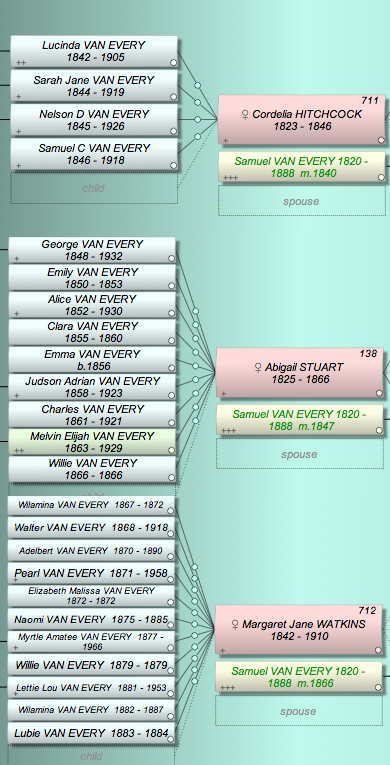 1) Determine who is one of the most prolific fathers in your genealogy database or in your ancestry. By prolific, I mean the one who fathered the most children. 2) Tell us about him in your own blog post, in comments to this blog post, or in comments on Facebook. I've looked at this question before. 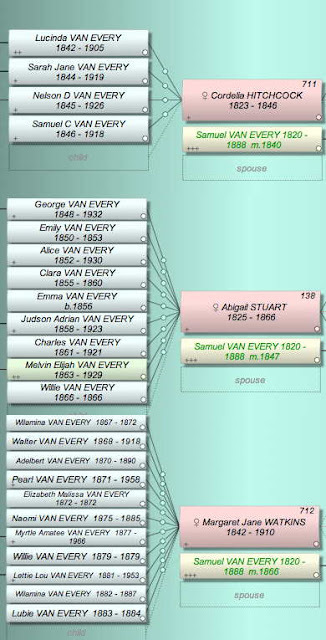 Back in November of 2007 I declared my most prolific ancestor to be my second great grandfather, Samuel Van Every, with 22 children. 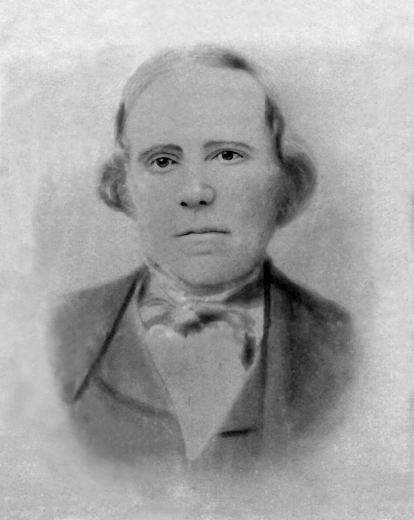 It's still Samuel, but he now has 24 children. (only 14 or 15 made it out of childhood.) It is now believed there were two Willies and two Wilaminas, with the sons dying in infancy, and the daughters each making it only to age five - all four possibly named after Samuel's younger brother, William. I also now have the vital statistics for a lot more of the children than I did two and a half years ago.